World famous for its magnificent viewpoint is Yat Rock, a heavily wooded limestone outcrop 152 metres high. 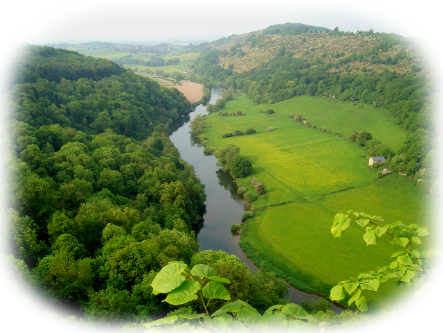 From its summit, the River Wye can be seen below in almost every direction as it twists and winds through the deeply wooded gorge into a large horseshoe bend. As one of England's most popular viewpoints Symonds Yat is visited all year round. It is especially attractive in the spring and autumn when the tints of the surrounding foliage are at their richest or in winter when the trees are capped in snow, the surface of the river frozen and the scene is almost reminiscent of the Alps. Since 1982, peregrine falcons have been nesting near Yat Rock and in the summer months you have the rare opportunity to watch this spectacular bird whose dramatic diving swoops can reach 125 miles per hour. The banks of Symonds Yat East and Symonds Yat West are linked by an unusual, man-powered, rope ferry well worth a visit and perfectly combined with a walk along the western banks to the Biblins suspension bridge and return via a gentle ramble through woodland on the former railway track, the Peregrine Path cycle route, running along the banks of Symonds Yat East and back to the village. 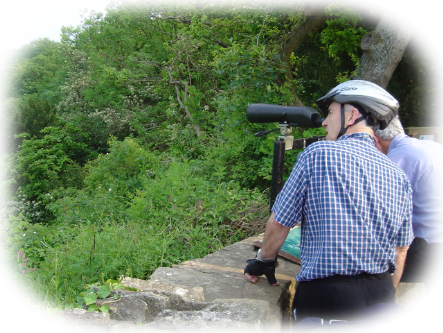 At Symonds Yat West are a range of visitor attractions including the aMazing Hedge Puzzle and Butterfly Zoo amongst others. Canoe Hire is availale from Symonds Yat East and offers a fun way to explore the river/ For experienced kayakers, there is the bonus of rapids to shoot and white water to be tackled. 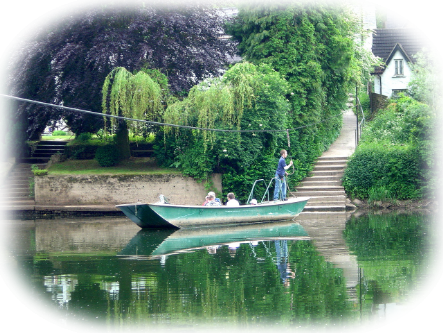 No visit to Symonds Yat and the River Wye is complete without a leisurely cruise along the river through the gorge and cruises are available from both banks.